Many childhood summers, Mark Woods piled into a station wagon with his parents and two sisters and headed to America's national parks. Mark's most vivid childhood memories are set against a backdrop of mountains, woods, and fireflies in places like Redwood, Yosemite, and Grand Canyon national parks. On the eve of turning fifty and a little burned out, Mark decided to reconnect with the great outdoors. He'd spend a year visiting the national parks. He planned to take his mother to a park she'd not yet visited and to re-create his childhood trips with his wife and their iPad-generation daughter. But then the unthinkable happened: his mother was diagnosed with cancer, given just months to live. 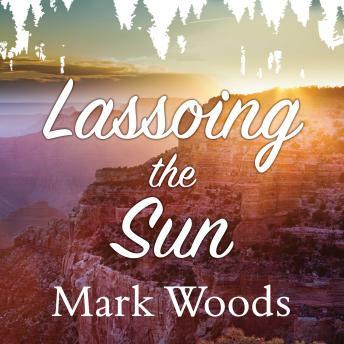 Mark had initially intended to write a book about the future of the national parks, but Lassoing the Sun grew into something more: a book about family, the parks, the legacies we inherit, and the ones we leave behind.